Not far from me, in the back country of Stamford, CT, is a unique treasure. 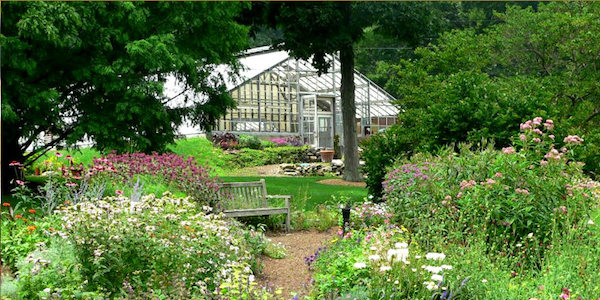 The Bartlett Arboretum contains 91 acres of woodlands, display gardens, notable tree collections and hiking trails open to the public every day of the year. In addition, they offer classes, seminars, children’s activities and special events. The original Bartlett Homestead building from 1913, which functions as an administrative building, historical museum and visitors’ center, was in desperate need of rejuvenation and so the idea of a designer showhouse was born. Guided by co-chairs Victoria Vandamm of Vandamm Interiors, Robert Knorr of Nordic Contruction and Helen White of Home Resource Guide, talented local interior designers were brought together to give the historic home a much needed makeover. 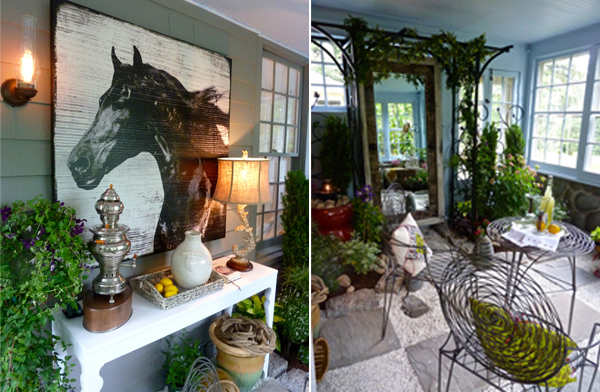 Generously sponsored by New England Home Magazine, HRG, Nordic and Hearst media services, the showhouse’s theme of bringing the outdoors in, “Garden Rooms by Design” was timed to coincide with the Bartlett’s Annual Spring Garden Tour. Last month, thanks to The Daily Voice, I had the opportunity to tour the house and speak with many of the designers. Vandamm assembled a lighthearted eclectic collection of furniture and accessories for the landing, giving this relaxing spot a colorful modern interpretation for the traditional setting. Back downstairs, off the foyer was Barbara McEntee’s “romantic indoor porch.” I loved how you entered through the arbor built into the doorway. 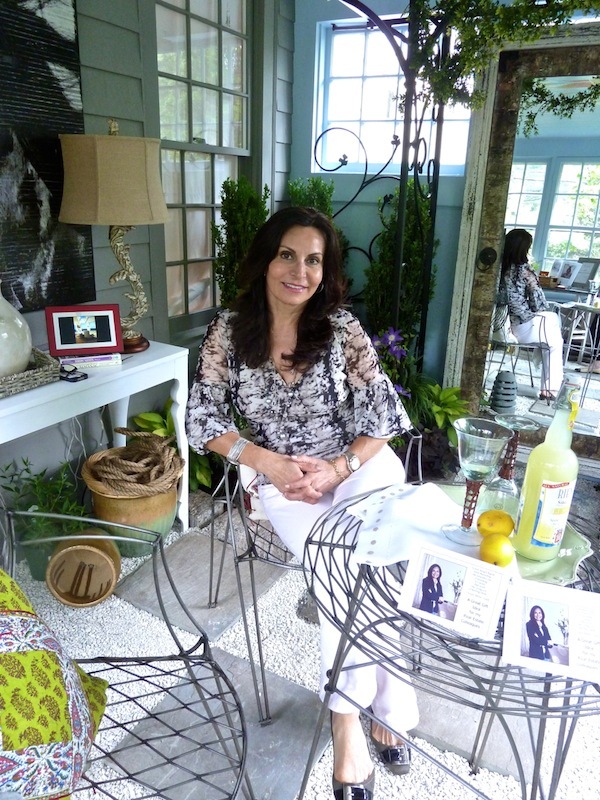 “I loved doing a romantic porch room reminiscent of days when life was slower paced and more gentile – birds chirping, plants blooming, and women writing letters and thank yous. Although I couldn’t live without my cell phone!” I think we can all relate to all those sentiments! 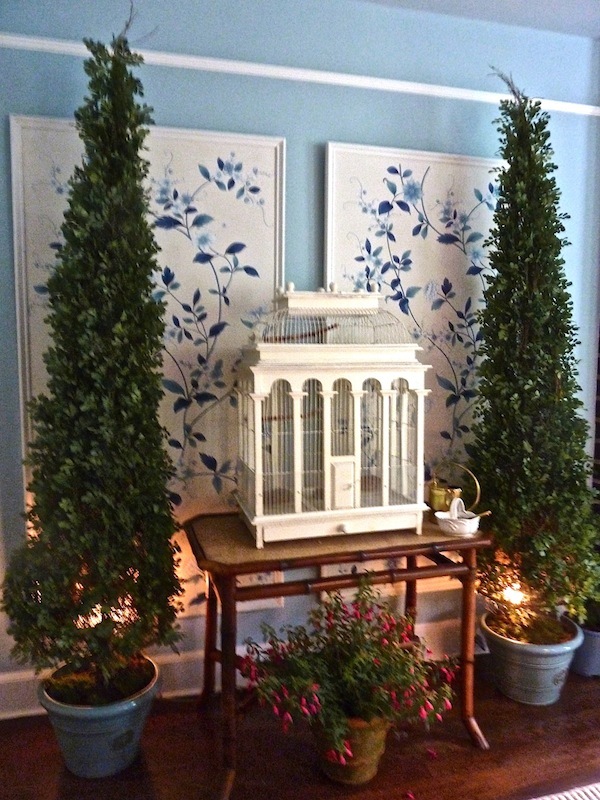 One wall featured this charming vignette with an antique bird cage perfectly perched in front of elegant Gracie wallpaper panels. Across the room an antique bamboo serving table holds a beautiful orchid. 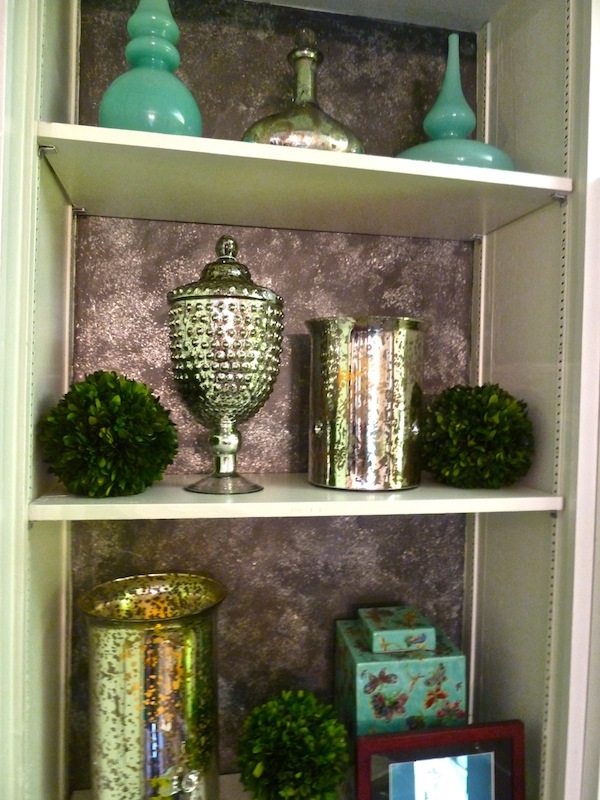 A serene room in cool soothing tones, I loved the play of tonal textures. 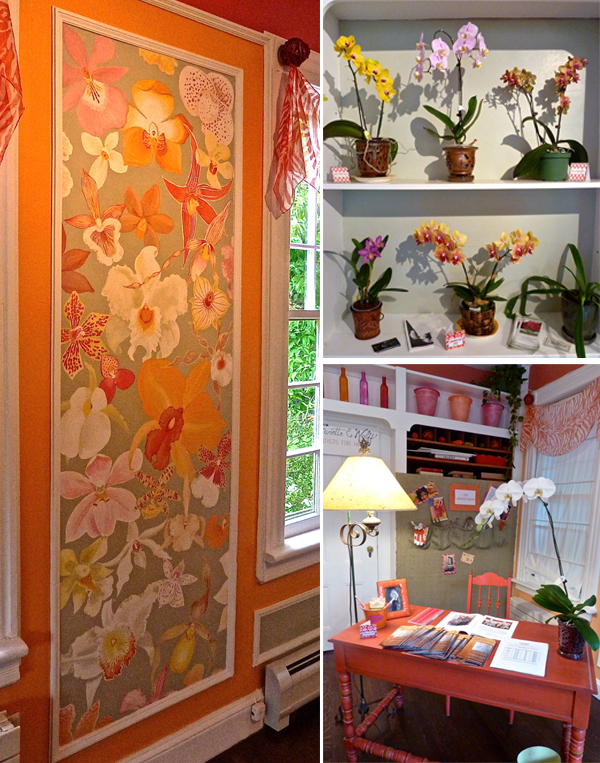 The Orchid Room was Isabelle Favette and Tom Wolff’s version of a personal workspace. 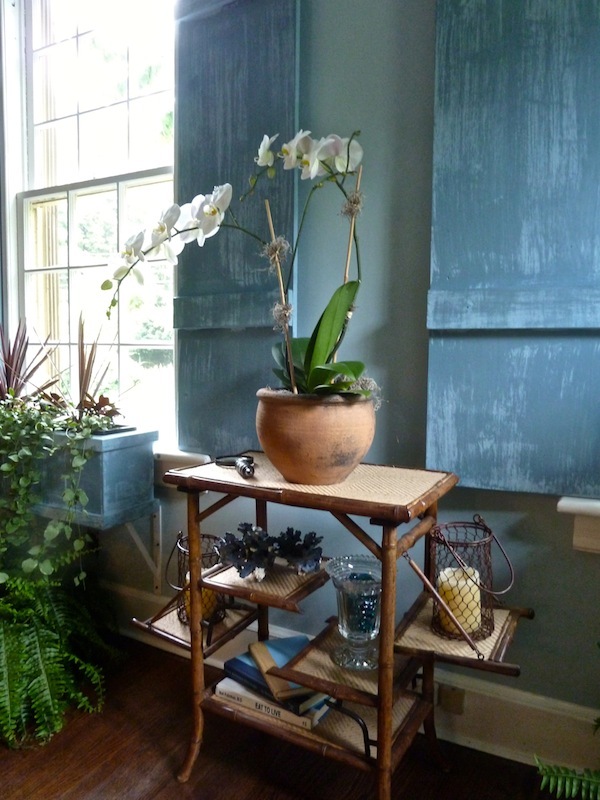 Favette & Wolff created original canvases in tones of peach and gray to complement the orchids, supplied by Venamy Orchids and Sam Bridge Nurseries. 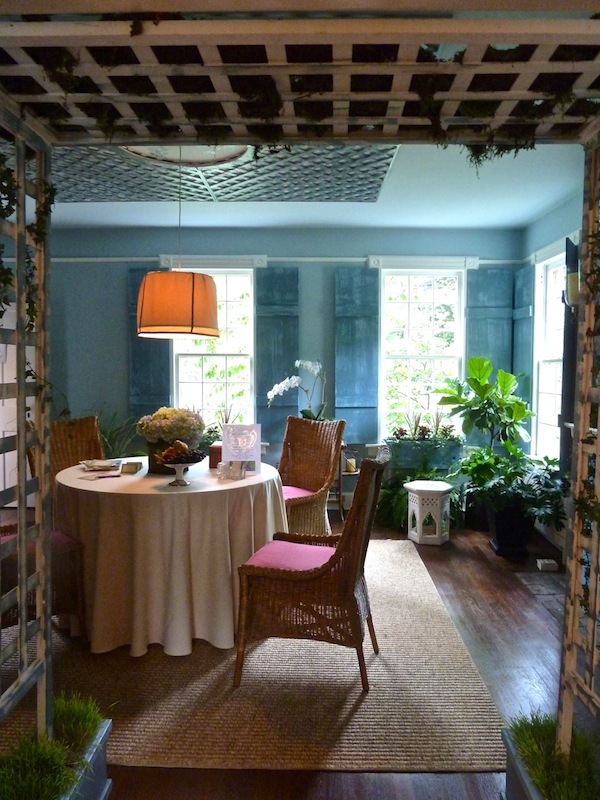 Come back next time as we explore more of the nature-filled rooms in this special showhouse. 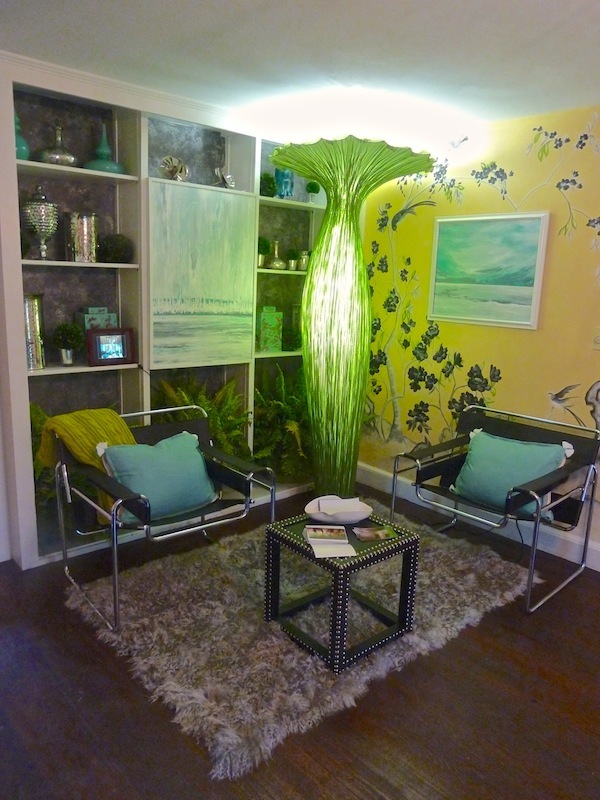 This entry posted in design, garden, interior design. 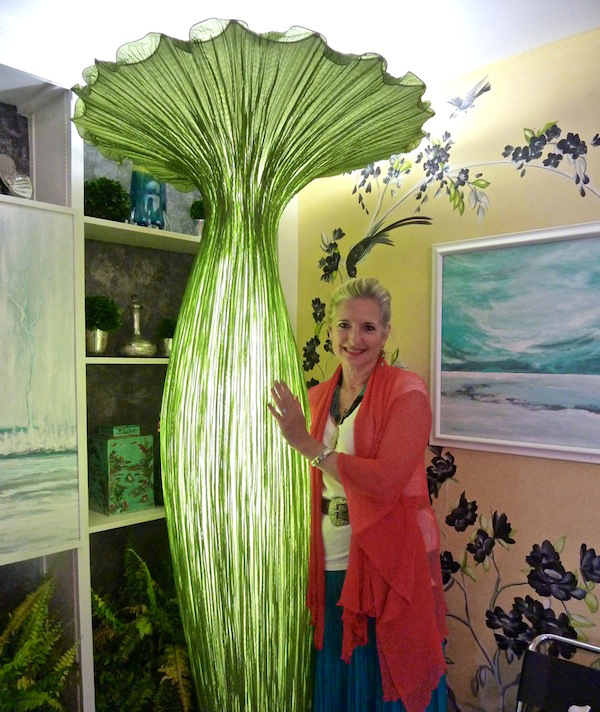 Entry Tags: Favette and Wolff, Gardening, Home Resource Guide, interior design, Mural Interiors, Nordic Construction, Soudi Amini Design, The Daily Voice, Vandamm Interiors Bookmark the permalink. Who knew this was in our backyard! We walk the dogs on the trails but have never visited the house… must leave the dogs at home and do so, soon! Hope you have a wonderful week, Q. What beautifully designed spaces. 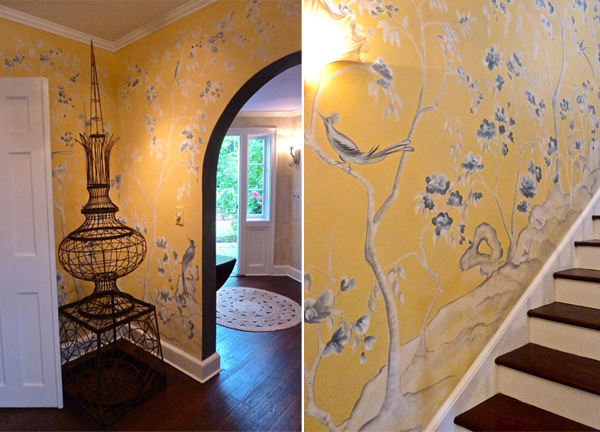 I absolutely love the hand-painted chinoiserie walls..stunning. I love how the black flowers give that traditional motif a modern feel. Looking forward to seeing the rest!! How gorgeous. Wish I could jaunt out to Connecticut to see in person (of course your photos are the next best thing). I think the “romantic indoor porch” is my favorite. Wouldn’t that be a wonderful room to have? Looking forward to seeing more! Hellooooo Stacey!!! I hope you had a wonderful 4th and enjoyed an extended weekend on both ends! Love that this is just a skip and hop away. 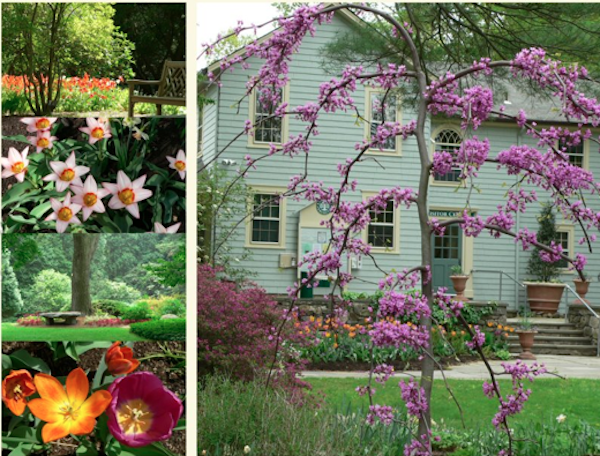 I’m always drawn toward gardens and garden design. Here’s to a new, beautiful week! Yes I want to see more please! It all looks so wonderful and so far Soudi Amini’s secret garden is my favorite. All the rooms look so wonderful. You have found a gem here! Such a retreat from the horrible heat we are being subjected to here. 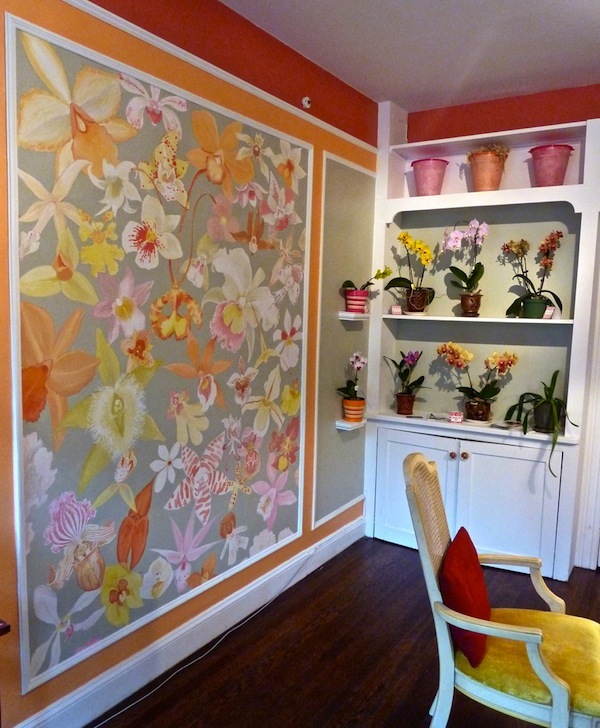 OMG the orchid room is just fabulous and the mural! Love the creamsicle oranges and yummy pinks. Hmm, I need a road trip… Beautiful. I have to see this in person, how wonderful! And the romantic porch is my fav! I can’t believe that the front entrance was a painted mural. It’s beautiful and looks like wallpaper (not to demean it’s beauty)! It’s just exquisite that this was done by hand. I’m game for any house tour and this was so fun to “tour” thru this post. Thanks, Stacey! 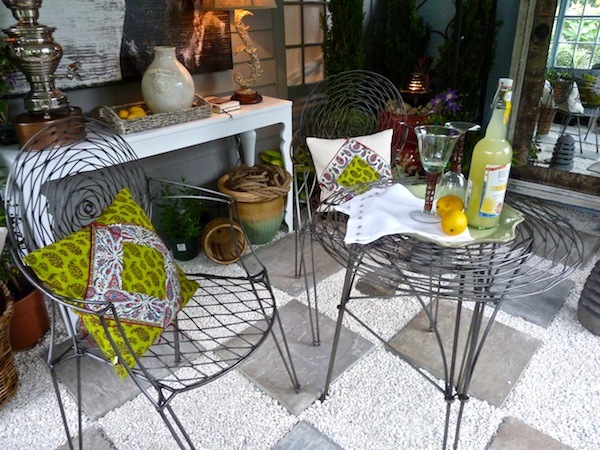 I likes all your designs and images are really very beautifull design like this garden room make more attractive. 79 queries in 0.461 seconds.